Located at 5501 Walnut Street in Pittsburgh, PA; Henne Jewelers mission is to strengthen and enhance relationships by providing unique jewelry to their clients. Some of their core values include providing good value, treating all people with dignity and respect, and supporting charitable organizations within the community. 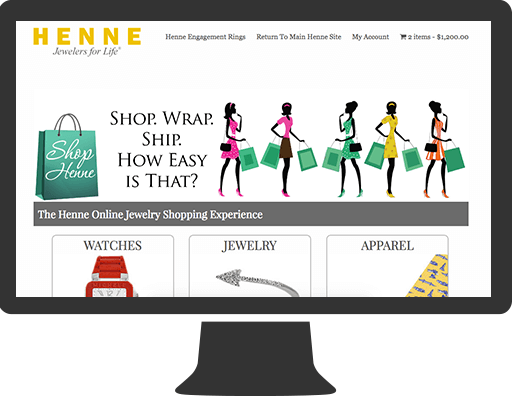 Henne Jewelers needed an ecommerce solution integrated into their current website where users could shop for watches, jewelry, and other apparel. They needed this solution to allow them to easily add and manage the products on the site as well as update the content to reflect price changes as well as sales and promotions. 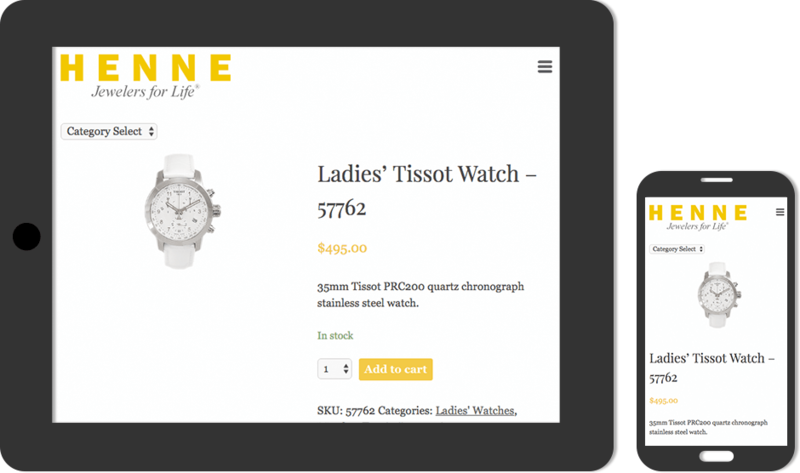 CINTACS provided a website built on WordPress using Woo Commerce, a powerful ecommerce solution. 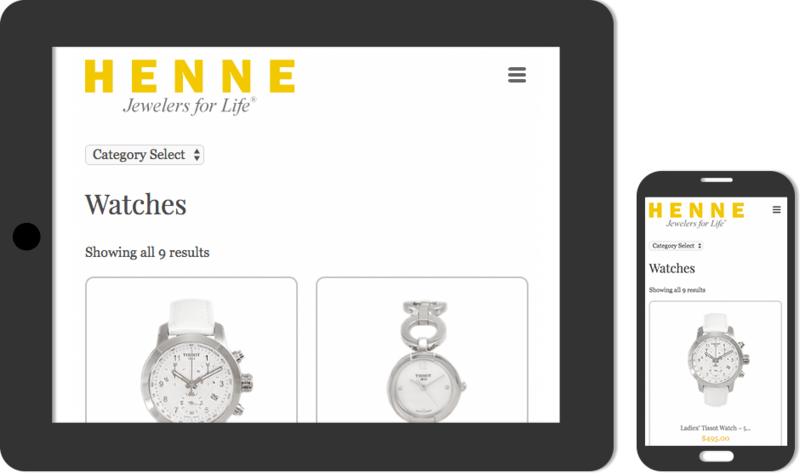 Using both of these technologies allow Henne Jewelers to manage the content of their website including the products, prices, as well as sales and promotions. Their website also allows them to securely take receive payments using either PayPal or a major credit card.